Sometimes even the Devil deserves a break! Life is hard for The Devil and he desperately wants to take a holiday. Growing weary from playing the cosmic bad guy, he resolves to set up a company that will do his job for him so the sins of the world will tick over while he takes a vacation. God tells him he can have his vacation just as soon as he solves an ancient crime. But nothing is ever easy and before long he is up to his pitchfork in solving murders, desperate to crack the case so he can finally take the holiday he so badly needs... 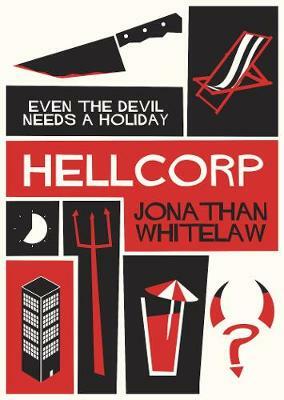 This is a perfectly-pitched darkly comic crime novel that is ideal for fans of Christopher Fowler and Ben Aaranovitch.